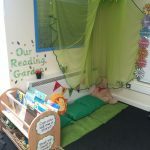 Welcome to Reception where our children begin their learning adventure! We are so excited to welcome you and your child to our Reception class! My name is Mrs Cunliffe and I am your child’s class teacher. Mrs Clements is our wonderful teaching assistant. We are also very lucky to be supported by the fabulous teaching assistants Mrs Tarbuck and Mrs Mitchell throughout the week. Life in our Reception classroom is exciting and very busy! In Reception, we want your child to have the best possible start to their school life. 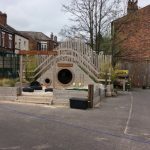 We plan a mixture of play-based tasks and child-initiated activities in order to support your child as they move through the next steps in their learning. We also model social interactions and teach important life skills that will not only help your child to make progress in curriculum subjects but to also grow in confidence, enjoy their learning and most importantly be happy! During the year, we choose our topics based on the children’s current interests which ensures that the children are motivated and excited to learn. Our first topic this year will be Do you want to be friends? 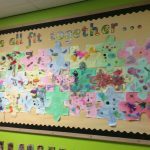 This topic focuses on forging new friendships as we support the children to explore their new school and to settle into the new routines of their classroom. Please do always pop into class to see us! Our door is always open for chats and discussions about any news or concerns that you may have. We are looking forward to sharing your child’s first year in school with you!